Hey Guys i know you always want to change WINDOWS REGISTER INFO ON YOUR PC so that it would be name at your own desired. well if u want to know how does it done just follow my steps. This is Proven and Tested by me. This is the one I always use if i want to change windows register info..Steps to follow : 1. 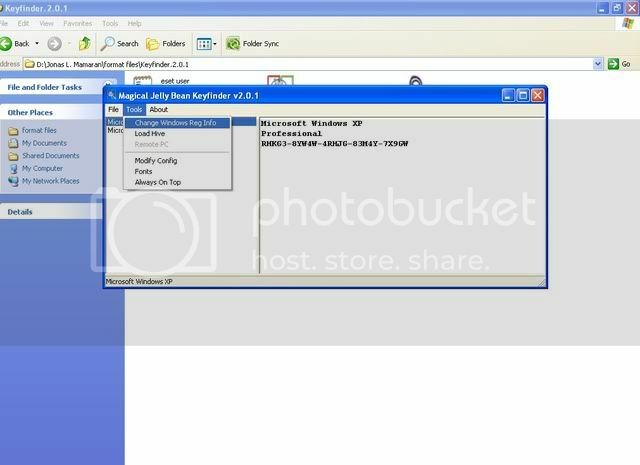 Download the software i use : [url=http://WINDOWS REGISTER INFO ON YOUR PC]WINDOWS REGISTER INFO ON YOUR PC[/url]2. its on a winrar file just extract it, and then it will come up with a file name "keyfinder"3. click keyfinder, and then click the tools tabs4. click for "Change Windows Reg Info" 5. type what you want or desired name u want it to be6.simply just click change to take effectif you still dont satisfy or confuse if it was really changego to start --->right click on the "My Computer" then click properties , on the general tab you will see =)Comment if its helps you guys thanks! =)just thumb ups or vote up if its working on you..because on me "THUMBS UP" fully working =)if you have more question dont bothered to message me ok?